CHICAGO, June 14, 2017 – Online search is playing an increasingly important role in driving brick-and-mortar sales. One third of the time, consumers use mobile search to find store hours, directions or an address, according to Google. Half of those consumers then visit the store within a day. This makes local search optimization a critical part of a brand’s local customer acquisition strategy. Brands with multiple locations are particularly challenged with optimizing performance for each location individually. To better address the importance of local optimization opportunities, seoClarity, the search insights and content optimization platform, today announced a new enterprise platform specifically for local SEO, Local Clarity. Uncover deep insights into the performance of every location. Correlate changes in local optimization and citation building to visibility in local searches. Securely manage and respond to reviews from the top review sites online with scale. Local Clarity provides brands with insights that can be used to improve the customer’s local search experience. For example, Local Clarity makes it easy for brands to monitor online reviews across many different locations and provides access to trends, whether they are pervasive across a region or unique to a single location. For a limited time, seoClarity is offering free access to Local Clarity for all SMX Advanced attendees at www.localclarity.com/smxadvanced. 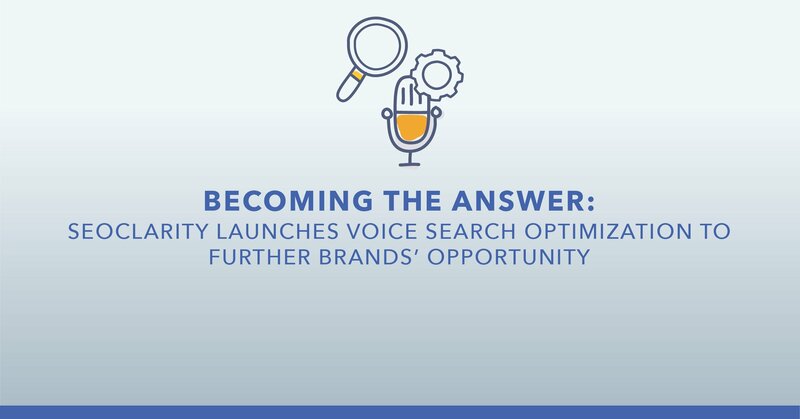 In addition, any multi-location brand can request access at www.localclarity.com through June 30, 2017.
seoClarity is the natural search and content optimization platform that helps brands connect with customers in the moments that matter. The company's proprietary Clarity GridTM technology combines petabytes of data with machine-learning insights to help marketers develop proven content strategies, analyze competitive gaps, improve site health, and drive performance. The company’s unique approach to understanding audience intent turns the focus from the search engines and algorithms to the customer.